It’s always pleasing when one of your customers asks you to do more for them, particularly when that request is based on their satisfaction with the products you already supply them with. So when the London Borough of Barking & Dagenham asked us if we could create online software to collect and audit NHS Health Check data, the result was TAHealthCheck, the newest addition to the THERAPYAUDIT Public Health ‘stable’. One of the main drivers behind asking us to develop additional modules to be used in pharmacies across the Borough came from the pharmacies themselves. Happily using our TACCARD c-card software for a number of years through the comecorrect.org.uk initiative, they welcomed the idea of other useful software in the familiar THERAPYAUDIT format. The two additional software modules we have created support collection of data relating to NHS Health Check, as well as to the Borough’s Supervised Consumption programme. 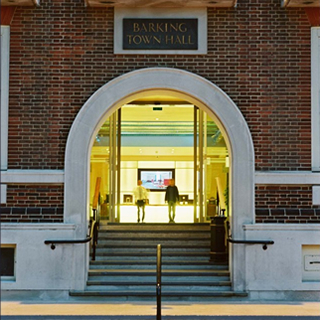 Understandably, Barking & Dagenham are now focussed on rolling out their new NHS Heath Check software, though we will be back soon hoping to sign them up for another THERAPYAUDIT Public Health stable-mate – the one that supports Vitamin D supplementation in accordance with NICE guidance – TASTART. They will find themselves in very good company, as Camden & Islington have just started using TASTART, joining Lewisham, Lambeth and Southwark, and we’re expecting other Boroughs to join in soon. One Public Health platform – a number of products. But all in the same, familiar format. Our portfolio grows; we hope that usage across London for the new products proves as successful as TACCARD – only time will tell!